The first ever RS Aero UK Youth Nationals has come to an end after some intense racing on day one and an unfortunate lack of wind day two! In total, there were 30 entries from clubs all across the UK and even a guest appearance from Yannick Gloster from the USA. Our race officer, Ian Bullock, did a fantastic job with the racing managing to get six races in on day one, and for making the right call with day two by making the decision early. The racing was very tough with around 10knots of breeze with the odd 15knot gust. Due to the wind direction there were some big shifts and plenty of opportunities to make gains throughout the course. 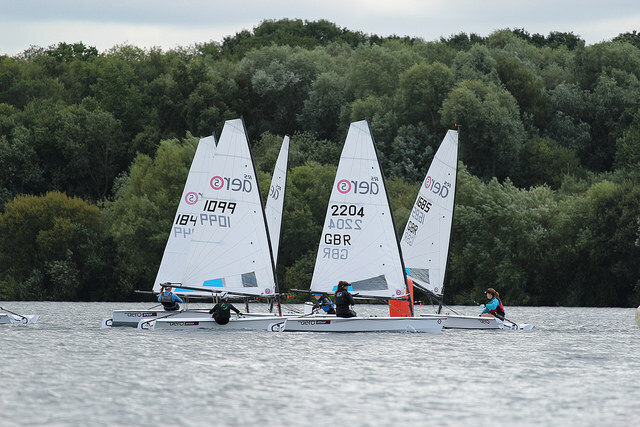 Ben Rolfe from Burghfield SC showed the fleet how it is done with an early race win, however once the fleet got into the rhythm the racing became closer and closer, especially with the PY racing it made it hard to tell on the water how well you were doing. 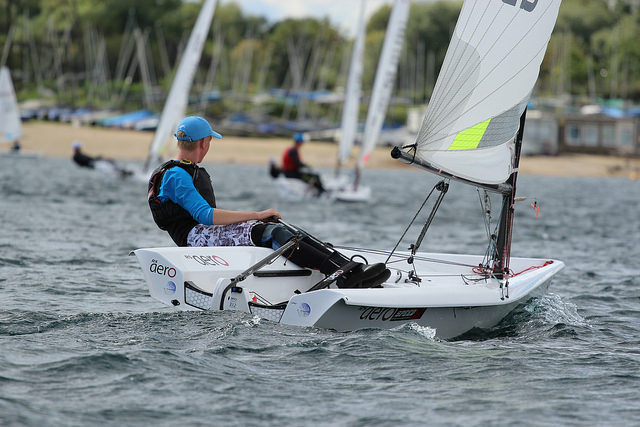 Once ashore it became apparent that the 9 rigs could not keep up with Will Taylor from Brightlingsea SC who secured 3 races wins on Day one in his 7 rig. Close behind was Sam Whaley from Swanage SC, with a good mix of top 3 results, however these were not enough to catch Will Taylor who finished overall on 9 points with Sam Whaley on 11 points. Edward Higson from Bartley SC on his first time in an RS Aero secured 3rd, close to Sam on 13 points. Andrew Frost, recently crowned RS Aero 5 World Champion in France last month, stepped up into the RS Aero 7 and had quite a mix of results. 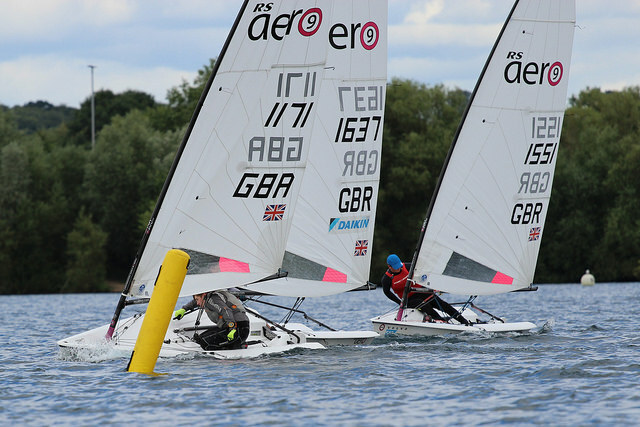 Due due to a couple of top 5 results he was able to beat Ben Flower in the RS Aero 9 and secure 4th overall and first Youth (U19) on count back with 28.5 points. 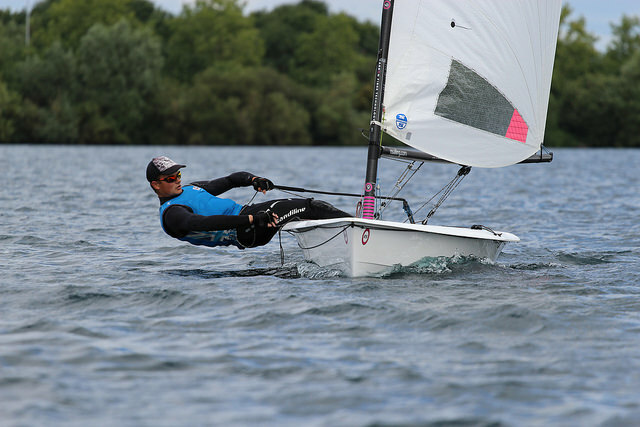 Close behind Andrew and Ben, was Yannick Gloster from Santa Barbara, USA, on 29 points which is a fantastic result considering it was his first time Lake sailing! Lucy Greenwood from Oxford SC sailed the 5 rig and secured the 1st lady position and an overall result of 10th. Tim Hire from Royal Lymington secured 1st Junior (U16) and finished in a respectable 11th overall in the 30-boat fleet! 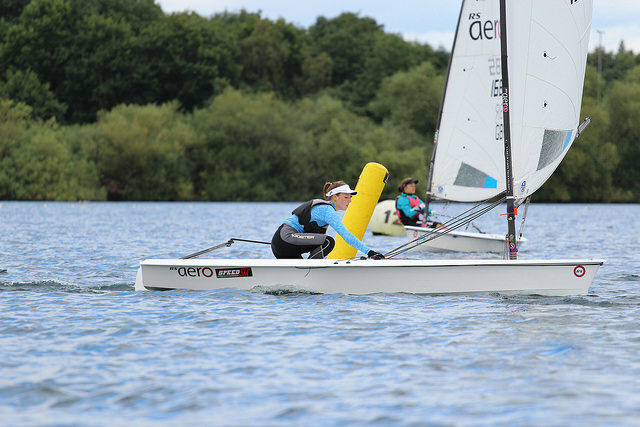 Congratulations to all the RS Aero Youth sailors who joined us at the historic 1st ever RS Aero UK Youth National Championships and especially to Will Taylor who has claimed the title of RS Aero UK Youth National Champion and Lucy Greenwood who is the 1st Lady RS Aero UK Youth National Champion. Many thanks to SpeedSix for their generous sponsorship. We look forward to seeing you all again for the 2018 edition!!! A fantastic photo gallery by Steve Greenwood can be found HERE. As usual a small donation to the Andrew Simpson Sailing Foundation via his Just Giving page HERE for any you download would be appreciated. He can also print A4/A3 size for a small fee to cover paper and ink, and if you let him know asap he can take them with him to the Nationals at HISC in a couple of weeks. Unfortunately the results published on the day were incorrect. A tricky little button was missed in the scoring programme leaving those results based on elapsed time without having PYs factored in to produce corrected times between different rig sizes. 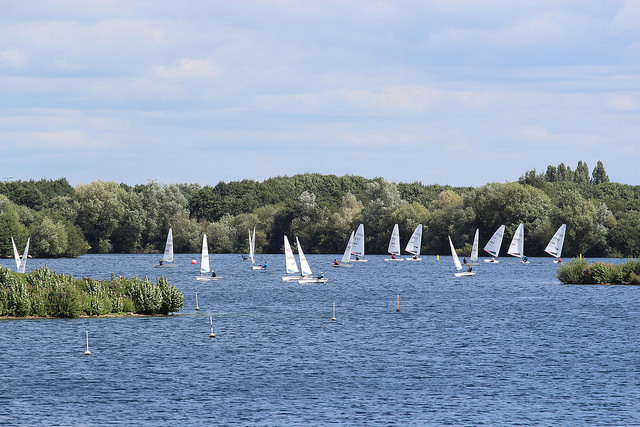 Burghfield Sailing Club are very sorry and a little embarrassed as they are as passionate about the sport as we are. They apologise to all - but what excellent hosts they were all weekend and thank you to them for a fantastic Championship! The corrected results are below.